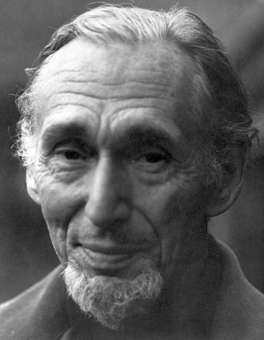 Thanks to the work of Hugh Brockwill Ripman, the Gurdjieff Society of Washington, D.C. has been a presence in this area for more than fifty years. As early as 1948, he brought here the seed of the ideas, and the intent to gather individuals interested in exploring them. His vision, initiative, generosity, and unstinting hard work resulted in what he called a “Center,” a collection of study groups offering opportunities to work according to the ideas brought by Mr. Gurdjieff. Mr. Ripman directed the groups here until his death in 1980. His wife, Mildred Ripman, carried on with this responsibility until her death in 1997. Their students continue to work together, in conjunction with other study groups throughout the world. Mr. Ripman studied with P. D. Ouspensky beginning in 1934, and came to know Gurdjieff, at Madame Ouspensky’s direction, in 1948. He was an independent seeker, who took seriously the injunctions of his teachers to verify through his own experience. In his ongoing work, he maintained a deep connection with Jeanne de Salzmann, and a cordial relationship with the New York Foundation. At the same time, he also freely explored connections with seekers and teachers on other paths. His work touched hundreds of people. I had the good fortune to be one of them. My first contact with him was in 1969, and I have participated in his groups from that time until the present. The last letter I received from him came two days after he died. Of necessity, my view of him is one-sided and partial, so that what I write in recollection of him, no matter how truly I try to say it, is incomplete. The intent is simply to let his work become better known. Mr. Ripman discovered Ouspensky’s writings in 1933, and immediately felt that the ideas contained there opened whole new worlds for him. At the time, it never occurred to him that Ouspensky might still be alive—much less that he might be in London! Then in 1934, an old friend looked him up to invite him to hear Ouspensky lecture. This friend was prompted, he said, by a memory of Hugh in school, kicking his heels back against a stone wall, while talking about Greek poetry. Soon after, Hugh and his sister Daphne became part of one of Ouspensky’s London groups. There he met Mildred E. Geiger, an American woman working in London. 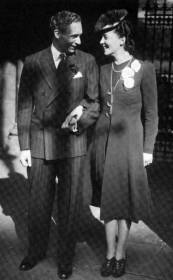 They married in 1939 and spent the war years in England, until they were able to join the Ouspenskys in America. After the war, his professional life brought him to Washington, D.C. as First Secretary to the British Embassy. Later, he was employed by the World Bank to assist in the economic reconstruction of Germany and Japan. He lived in Washington from then on, holding a position at the Bank until retirement in 1972. After Mr. Ouspensky’s death, Mr. Ripman continued his study and practice of the ideas with Madame Ouspensky, traveling regularly from Washington to the Work House in Mendham, New Jersey. He was one of the pupils who responded to Madame’s exhortations to meet with Mr. Gurdjieff himself, and began to study with Gurdjieff in New York in the winter of 1948. To my knowledge, he said little of their exchange. Characteristically discreet, he did not wish to fuel controversy and speculation. He described Gurdjieff simply as “a man whom one could never forget.” He recognized him, along with Mr. & Mme. Ouspensky, as the three central influences on his life, those to whom he owed the greatest debt of gratitude. After meeting Mr. Gurdjieff, Hugh Ripman began to gather a group of people in Washington to study the ideas together, with the intent to spend more time with Gurdjieff during the next visit to America. As events unfolded, however, there was no next visit. Mr. Gurdjieff’s death intervened. But the group that had assembled continued to work together. When I met Hugh Ripman, in 1969, he was about 60; slight of build with a fair complexion. His angular face was almost hawkish, his hands surprisingly large and strong. His hair was gray, a little grayer than his small white beard. Coming upon him reading, one might take him for a scholar or a professor, legs crossed and head bent over the book, his attention relaxed and precise. To see him dressed for dinner, coming down the stairs with Mildred on his arm, one might take him for a prince, for the old-world grace and courtesy in his gesture. Watching him cut wood on an icy winter day, one might take him for an Afghan warrior. He wore an enormous bushy fur hat he had gotten in the Khyber Pass. His movements were fierce without tension—vigorous, economical, exact. To us it seemed that his eyes beamed a special delight just in proportion to the outer difficulties of the task. In summer, in the kind of heat it’s said only mad dogs and Englishmen enjoy, he spent entire days scything weeds and chopping them for the compost piles he kept in neat six-foot cubes. His face reddened and sweat poured freely, but the quality in his attention and movement did not waver. Relaxation, precision, force, economy, were qualities he brought to all he did. He used to dress in the one-piece garment called a “jumpsuit.” Every so often Mildred would remark “but you never jump!” This made us laugh, because in fact we had all seen him jump, straight up from a chair into the middle of the room, into a warrior’s posture, or a posture from one of the dervish dances. He did this as a way of showing what he meant by relaxation, the right relation of relaxation and watchfulness. Sitting or chanting in the circle with him in the wee hours, after a day or days of long efforts together, one maybe began in that circumstance to come close to a sense of his real force. Hugh Ripman said that what he desired to accomplish, externally, was to build something that would have a life of its own and would last after he was gone. In this way, only in this way, could he repay his teachers. From the beginning, he emphasized a practical approach to the ideas, aimed towards inculcating in us the independence that seemed to come so naturally to him. The people of my generation in his groups were mostly intellectuals: college graduates, disillusioned flower-children, teachers, young government workers, some were artists. Under his steady and patient eye, we became good householders. In 1971, we acquired a property of about twelve acres outside the city. The property comprises a small valley of wooded land and floodplain, bisected by a twisting creek called Snakeden Run, bounded by a bigger stream called Difficult Run. With him as the force leading us to do the impossible, we designed and built a building here. We took a decrepit, vandalized cottage and made it into a comfortable small house. We made a vegetable garden. The building we built then still serves as our main Work House. It opens to the woods; it has a Movements hall, with oak floor and sky-lit roof ridge. It has crafts rooms, workshops, and kitchens. He let us learn from our mistakes, reminding us again and again by his example that the point of all that we were doing together was related to inner development. None of our projects was an end in itself. And yet we learned to feel responsible for the results. “No conscience!” he said, when one of us forgot to put away or clean a tool. He challenged us to meet what the situation required: We are coming together. We need something to sit on. We need to make benches. Here is a bench, make one like this. Learn how! What materials and tools are needed? Where to find them? How to use them? How to use them right? We have forty people together for a day. We need lunch. We need to make soup! Learn how! To choose, modify, calculate a recipe, find ingredients, learn methods and techniques, so that it meets our needs and tastes good. Serve it, on time! For me, an impractical dreamer (“Did anyone ever call you languid?”), these seemingly ordinary tasks were amazing to accomplish. Through them I learned that it wasn’t necessary to accept the images, the limiting and partial ideas of who I was. He insisted that there was nothing that was inherently un-interesting, if one paid close attention. We learned that the quality of attention can be practiced in any sort of activity, in any conditions. We practiced, as we were shown that the relationship to truth we were seeking depended on the ability to pay attention; that the ability to pay attention depended on the sensation of physical presence in activity; that the experience of this sensation was natural, was our lost birthright that could be re-learned. Of course the work at the property was only one aspect. In meetings, where we spoke of the Gurdjieff ideas and our experiences and experiments, it was impossible not to see that he was a man of formidable intelligence. His grasp of the system of ideas was profound, organic, lively, and open-ended. Profound, in the depth of his understanding of the sources, Ouspensky and Gurdjieff; organic, in that he could draw on a wide range of sources besides Ouspensky and Gurdjieff, from the Bhagavad-Gita and the New and Old Testaments, to Rumi’s Mathnawi or the Enneads of Plotinus. He had a special fondness for the Handbook of Epictetus. Lively, in that he might at any moment refer to material in the most recent Scientific American or New Yorker Magazine. Open-ended, because from his vantage point he could see relationships that were not apparent to those of us not quite so high up the mountain. His center of interest was Truth, the One Truth, the pinnacle, the top of the mountain where all paths become one. To him the greatest of virtues was discrimination, or right reason. He showed us, by example, that right reason was the right counterpart of the inner judge we all struggled with so awkwardly. He repeated to us what the Shivapuri Baba taught about how to develop reason: “It’s like making tea. You make tea one day, and it’s not right. The next day, you put in a little less tea, and it’s not right again. The next day, you vary the sugar. You go on like this, until the tea is right.” The way to develop reason is that you tell by the results, you taste and remember the results. Another idea he repeated, emphasized as if central, was that for him, an unfailing source of joy was to work very hard at something one values highly. We could not help but see that his fearlessness in the face of hard work came from experience of this joy. He taught us this fearlessness, by example. We found, by and in experience, that what he said was true. We learned longer and longer sittings, sometimes spent whole weekends working in silence. There, in the silence, maybe more clearly than anywhere else, his being shone, his love of the Highest. In 1999, in recognition of the fiftieth anniversary of the Gurdjieff Work in Washington, a group of Mr. Ripman’s students published a book he had written, an autobiography titled Search for Truth.1 He had done most of the writing in the 60’s or earlier but had not pursued publication. He used the writing as a way of working and read chapters from the manuscript aloud on different occasions. Mr. Ripman tells stories of meeting a Zen master, a Taoist priest, a Hindu saint, a Sufi. Each story gives evidence of his efforts to make accurate observations. At the same time, the consistent pattern of his questions offers insight into his search: what did he really want to learn from these encounters? Again and again he asks “how” questions: How to still the mind? How to control the attention? How to find God? How to live? It is testimony to the force of his work that now, more than twenty years after his death, there are people interested in learning more about him. And there remains a core of his students dedicated enough to him and to the teaching which he embodied to continue to feel responsible for “twisting the strand” at our end. 1 Hugh Brockwill Ripman, Search for Truth, Washington, DC: Forthway Center Palisades Press, 1999, 234p.